New: The new Leica DISTO™ X310 is the only laser distance meter to be dust-tight and protected against water jets – to IP65. In addition, it passes drop tests of up to 2 m height. Thanks to the integrated tilt sensor, it can take indirect distance and height measurements absolutely precisely. 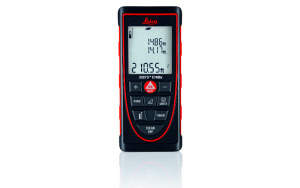 The range and accuracy of laser distance meters depend on light conditions and reflectivity of the measuring target. For Leica Geosystems it is important that the instruments not only perform under perfect laboratory conditions, but above all under the kind of everyday working conditions encountered on construction sites. This is why, working together with external experts, the company have developed a standard by which laser distance meters can be tested and compared with each other. The sensitive measuring elements are protected by solid rubber parts. 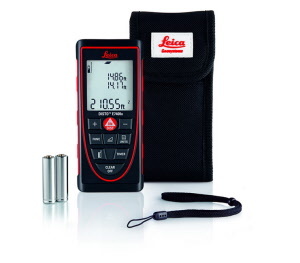 Proven in drop tests from up to 2 m height, the Leica DISTO™ X310 is therefore particularly resistant. The housing and keypad are specially sealed against water and dust. Cleaning under running water is also no problem. Thanks to the combination of distance and tilt measurements, you can determine the horizontal distance absolutely precisely and simply – even past obstructions. With the help of the tilt sensor, you can also determine indirect heights.